Train Hype! 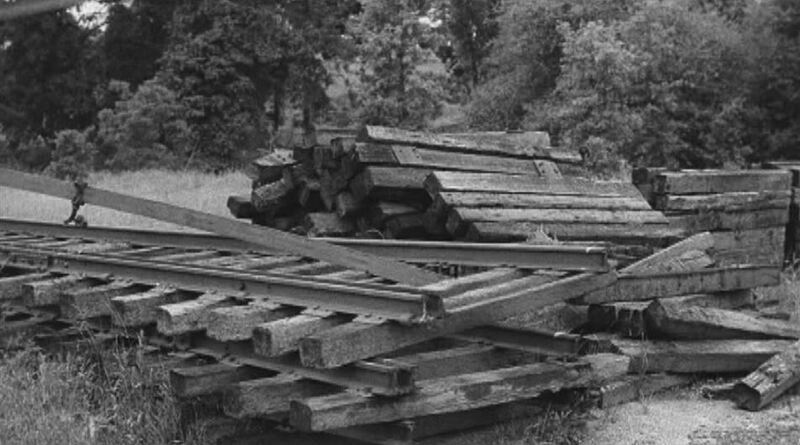 Hey, someone actually made an “Indie” film about a short line railroad! 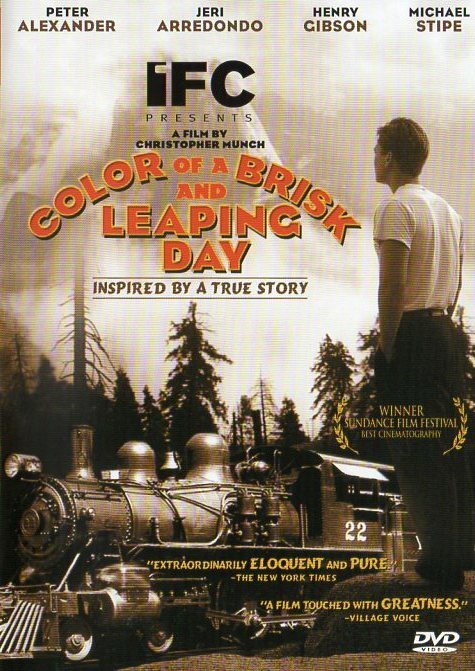 “Color of a Brisk and Leaping Day” even won some sort of award at the Sundance Film Festival. The movies’ title is rather misleading, however. It is not in Color, and there’s certainly nothing “Brisk” or “Leaping” about it. 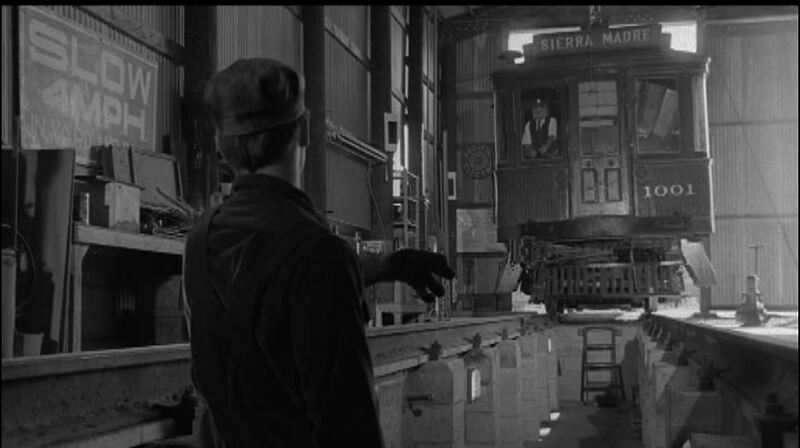 If you weren’t interested in the train bits, the movie itself is quite DULL. 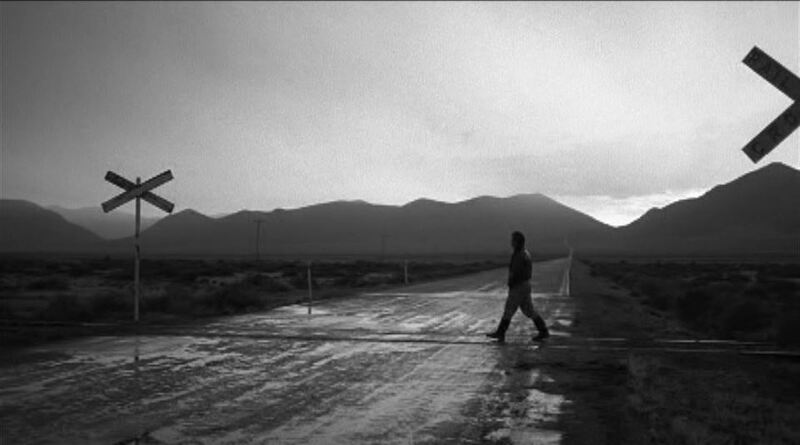 The narrator mumbles, the main character sort of sleepwalks through his role and the picture itself takes about 20 minutes to really get going. The opening minimalist credits are agonizingly slow (have your fast-forward button ready) and don’t get me started on the awful, discordant piano score throughout. 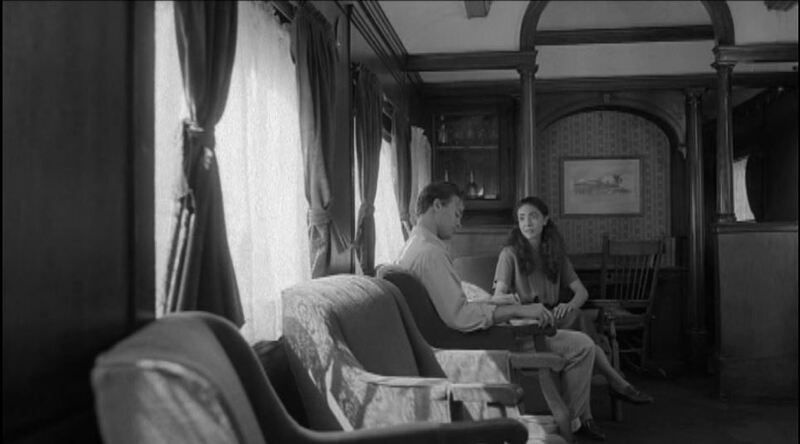 Having said all that, the train scenes ARE worth waiting for. 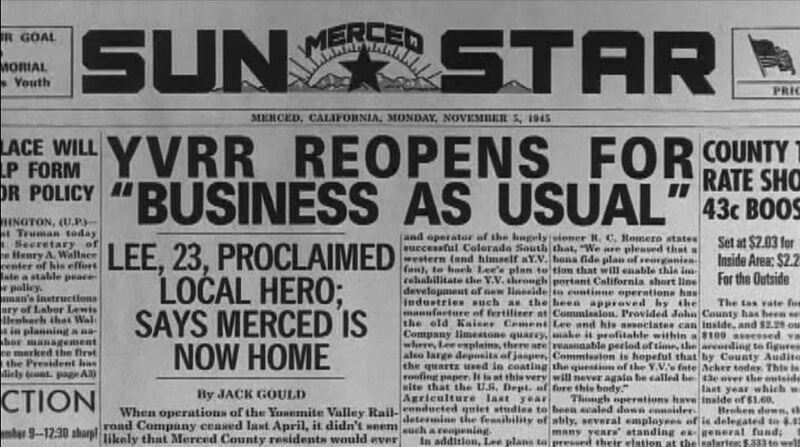 This is the story of the Yosemite Valley Railroad which operated from Merced, California to El Portal (just outside the National Park) from 1907 to 1945. 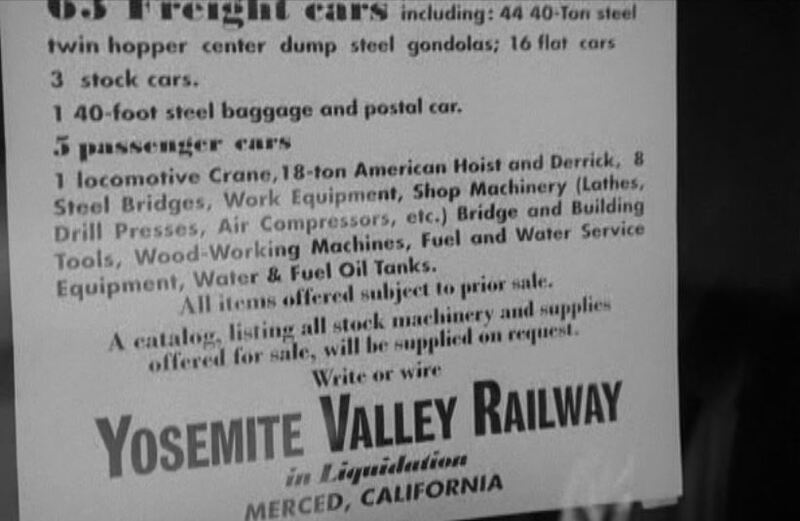 Included with the DVD is a short film, “Yosemite Valley Railroad Revisited” which includes some color footage of the line in operation. 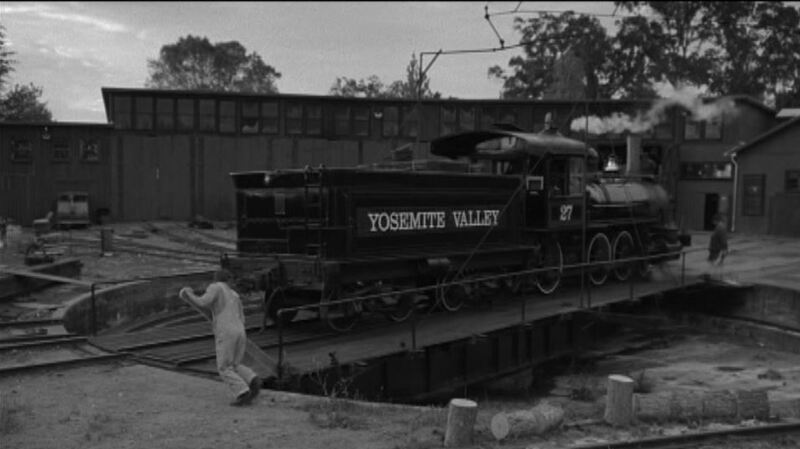 Here we see YV #29, a little 2-6-0 with a short freight. Believe it or not, the 29 still exists and is on display in Mexico. The main character works in the shops of the Pacific Electric so we get to see these nice views of a “Red Car” coming into the inspection pit. More juice pictures. 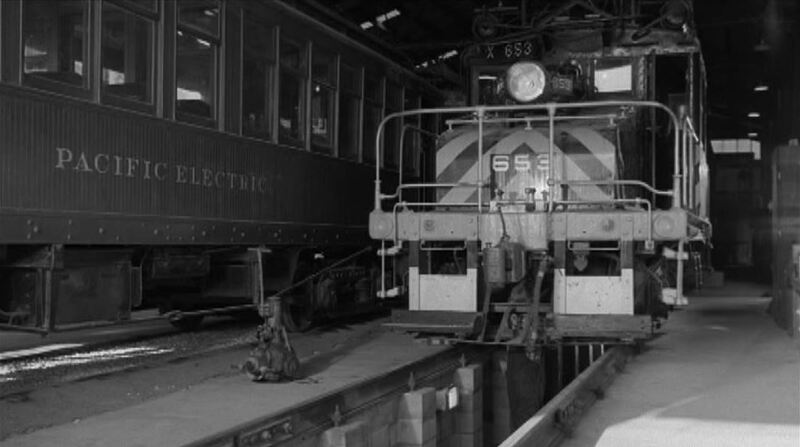 Here’s a little Sacramento Northern switcher #653 next to a Pacific Electric car. 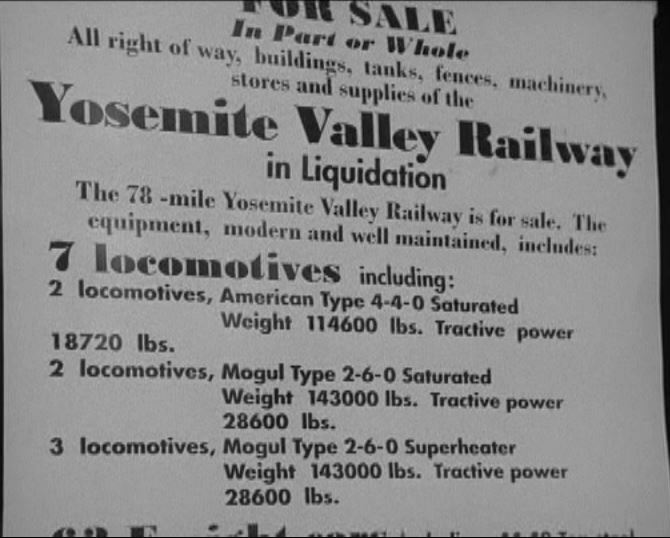 OK, back to the Yosemite Valley RR. In 1945 the YV’s last freight customer shut down. With no revenue stream, the road was forced to liquidate and shut down. Here’s a list of assets. When you own the railroad, you gotta take a turn at the throttle. 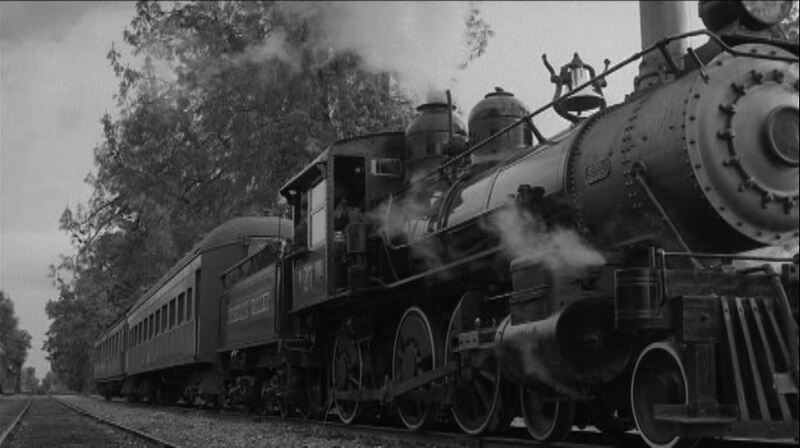 First, a cab shot of a Yosemite Valley steam engine (they never show us the number). 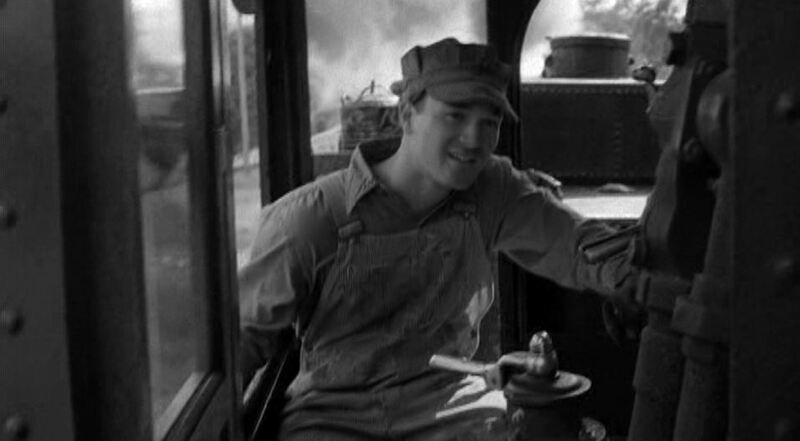 Second, our hero actually running the steam engine trying hard to stifle a big grin. Then there’s more mundane stuff like operating the “Armstrong” turntable to get YV #27 out of the roundhouse. Of course, you also gotta take your best girl out for a spin in your very own private car. 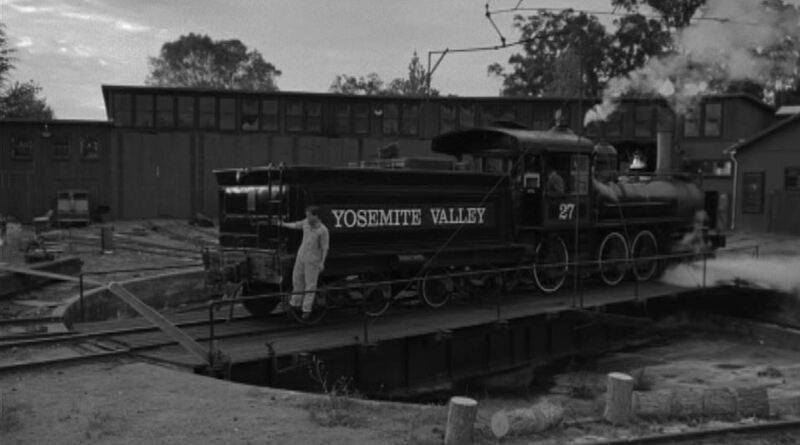 I’m pretty sure this is Sierra Railroad #3, the old Petticoat Junction steam engine posing as YV #27. You can just make out the 3 on the blackened front number plate. The wheel arrangement is correct – a 4-6-0 with the last set of drivers further back from the others. 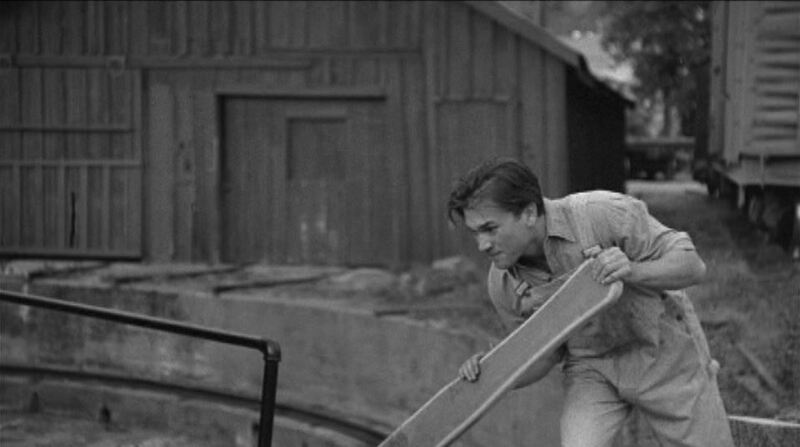 Could the filmmaker be a closet Great Northern Railway fan? 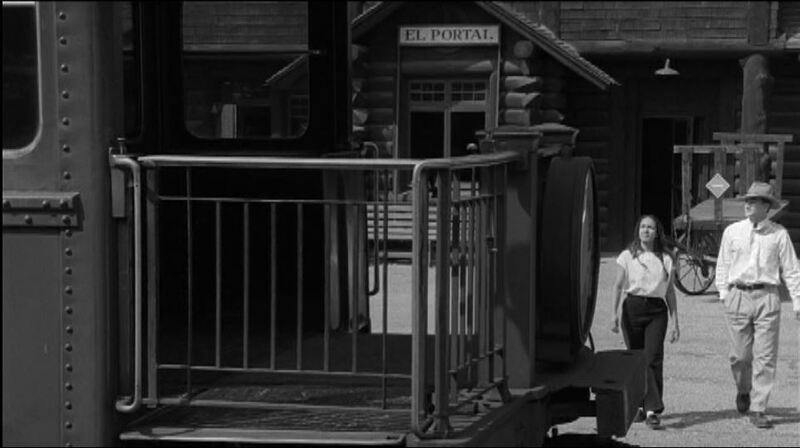 Notice the GN map on his door and the derailed GN 74351 hopper car. Alas, with no freight customers and only a handful of passengers, YV’s demise is inevitable. 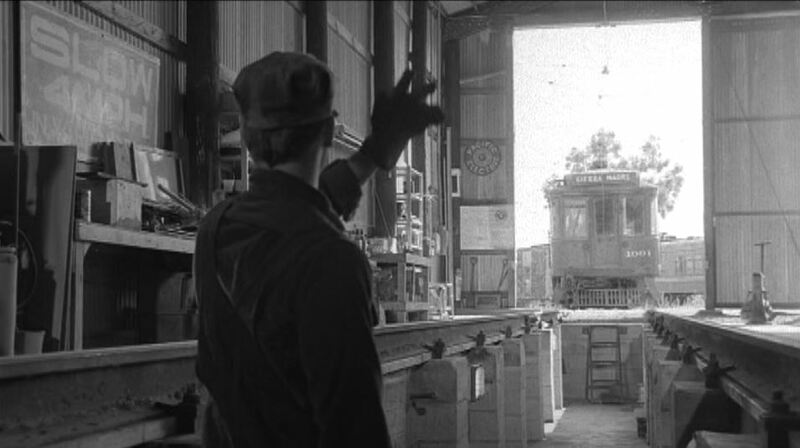 The final artsy fartsy scene shows Lee walking the tracks into the sunset. 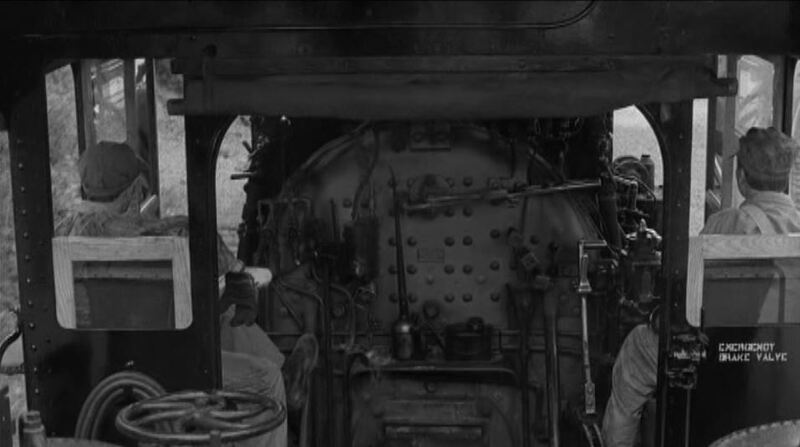 So to sum up — boring movie unless you’re a bona fide ferroequinologist freak — in which case the train scenes are pretty good. 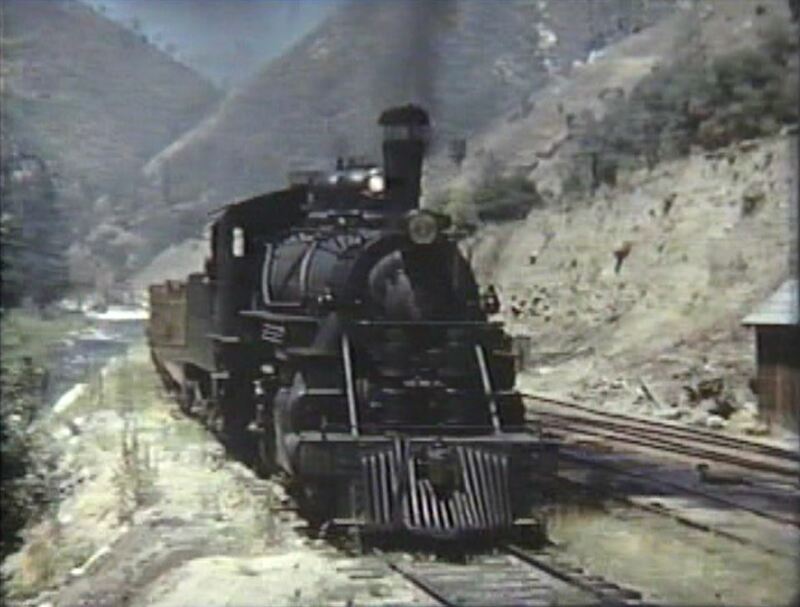 This entry was posted in Uncategorized and tagged California, California State Railroad Museum, Color of a Brisk and Leaping Day, Electric Railroads, Grand Canyon Railroad, Great Northern Railway, Merced, Nevada Northern Railway, North Coast Railroad, Orange Empire Railway Museum, Pacific Electric, Railtown 1897 Historical Park, Sacramento Northern, Sierra Railroad #3, Steam Locomotive, Sundance Film Festival, Yosemite National Park, Yosemite Valley Railroad. Bookmark the permalink.